Do You Have a ‘Responsive’ Website? What is WordPress, you ask? A social platform is a Web-based technology that enables the development, deployment and management of social media solutions and services. It provides the ability to create social media websites and services with complete social media network functionality. Social Media is one of the most effective ways to reach and engage with the public and potential customers. As you will be aware the increase in the use of social media over the years has been enormous with more and more usage. The advantages for you as a business owner is that there are so many more customers with which to engage. You cannot however use every social platform there is effectively and let’s face it there are a few, the largest being Facebook, LinkedIn, Pinterest, Instagram and Twitter. In order to ensure that the time spent on these social platforms is conducive and beneficial you need to identify which ones will work for you the best and then maximise the resources. Through good use of social platforms you can ultimately strengthen your main website by building links. This creates other ways for clients to find your business other than direct searches. Many of our clients have benefitted from our skilled services in helping them to identify and utilise social platforms. As a business owner you don’t have infinite time and resources to spend on everything and time is money. What if we were to do the backdoor work for you allowing you to focus on your revenue and sales? TBA Media can prepare social platform campaigns working in conjunction with you to provide you with quality posts that will reach large volumes of people globally. Facebook is synonymous with its worldwide exposure allowing businesses to target and advertise online to millions of people. For further information on how TBA Media can help you tap into the unlimited resources and reach of social platforms call us we are happy to discuss the best options for you and work out a campaign. On commencement of your project, a plan will be set, and a team member will be placed in charge of concepts, page layout and SEO structure, content writing, graphic design and coding. As a dedicated and supportive team we only deliver the most professional results. An innovation tba media has brought to the website design industry is our ‘Purpose Built SEO Websites’. With a technique of reverse engineering based on the most profitable keywords for your business, we aim to deliver a website that looks great, ranks well in Google, and makes lots of money! 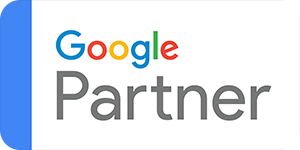 We specialise in Google AdWords management with $1.2M spend managed to date. We are able to discuss your digital marketing needs, and create a comprehensive plan to enhance your business’s online visibility, conversion rates and profitability. Like any marketing medium the visual aspect of website development will have a huge impact on the overall result. With web design, you only have seconds to capture the end user and engage them in the content. That is why we have one of the best graphic artists you will find in the web design market today.